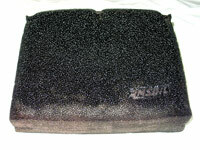 In order to increase airflow into the engine, I installed an Amsoil 2-Stage Hi-Flow Air Filter TS-115. It is an oil-wetted foam filter which improves performance and fuel efficiency by trapping more dirt while allowing better air flow. It comes pre-oiled. 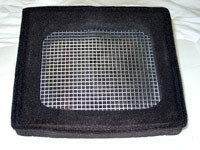 You just drop it into the airbox with the metal grille facing the engine. The filter is washable and reusable. 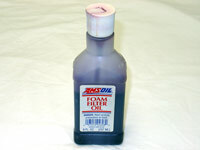 You must reapply Amsoil brand foam filter oil after every washing. I have been washing the filter at approximately 10,000 mile intervals. 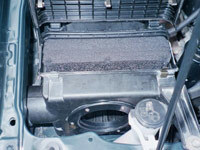 This is comparable to when you should check or change the factory paper type air filter. Of course, the wash interval will vary depending upon your usage, and frequent off-roading in dusty conditions may warrant shorter cleaning intervals. 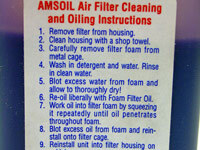 I wash the filter with soap and water, let completely dry, then apply 1 ounce of Amsoil air filter oil, working it into the filter thoroughly. Be sure to blot out any excess oil before installation using plenty of paper towels. You do not want oil to blow into the air intake tube and get on the mass airflow sensor wire. You can also tell if you over oiled the filter by checking the bottom of the air box, if you see oil there you used too much.